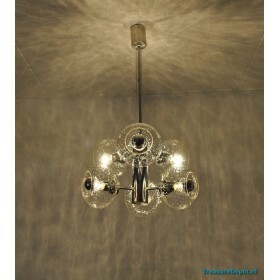 Large chandelier by Bakalowits & Sohne Vienna. Made of hand cutted crystal glass. 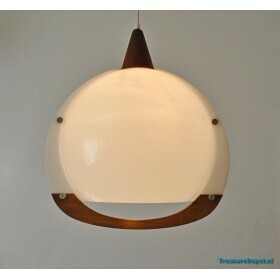 The lamp hol..
Large hanging lamp from the sixties. 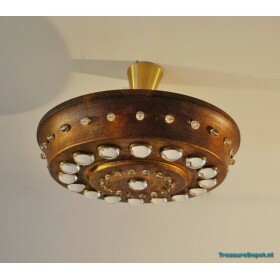 Chrome with 6 bubbled glass spheres. The height is 80cm and t.. 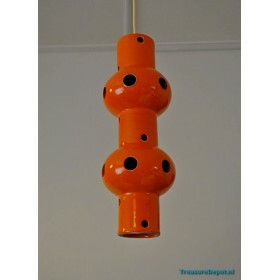 Heavy hanging lamp from the sixties. Aluminium, gold coloured with thick glass. 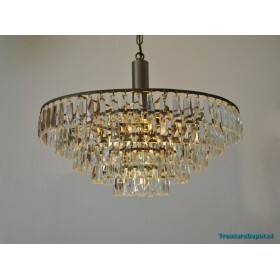 The lamp holds 3 l..
Glass hanging lamp white with nice details. 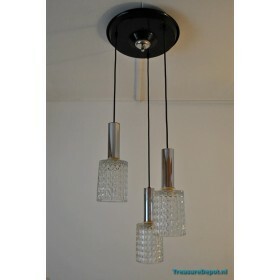 The total height is 55cm, the glass height is 30cm and ..
Black and white metal pendant light made by E.S. Horn from Denmark. The height is 19cm and the diam.. Unusual pendant made of enamel. 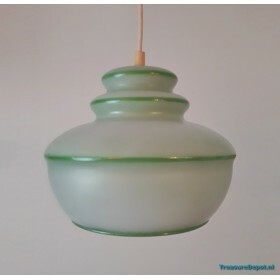 White glass in the middel. 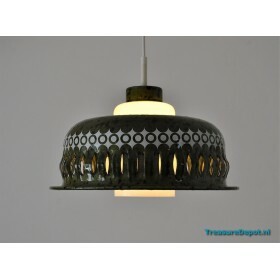 The height is 21cm and the diameter is ..
Glass hanging lamp from the fifties. White with green. The height is 21cm and the diameter is 25cm.. 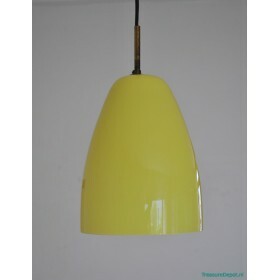 Pastel yellow fifties lamp made of glass. 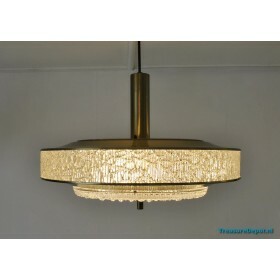 The height is 25cm and the diameter is 20cm. 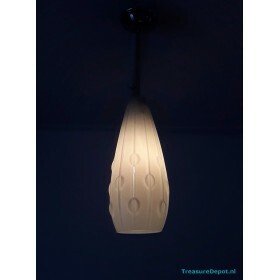 The little ..
Large milk glass cylindrical shaped pendant. 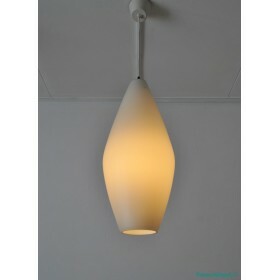 The height is 57cm and the diameter in the middel is 2..
Pendant designed by Viktor Berndt for Flygsfors Sweden. 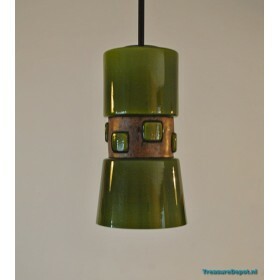 The lamp is green glass partly covered with..